As an introduction or as a review, this book will be of value to the student of the Bible who is concerned about arriving at the intended meaning of all Scripture. Filled with numerous examples from the Bible itself and containing an index of Scripture references, this study is typical of Pink's thorough elucidation. 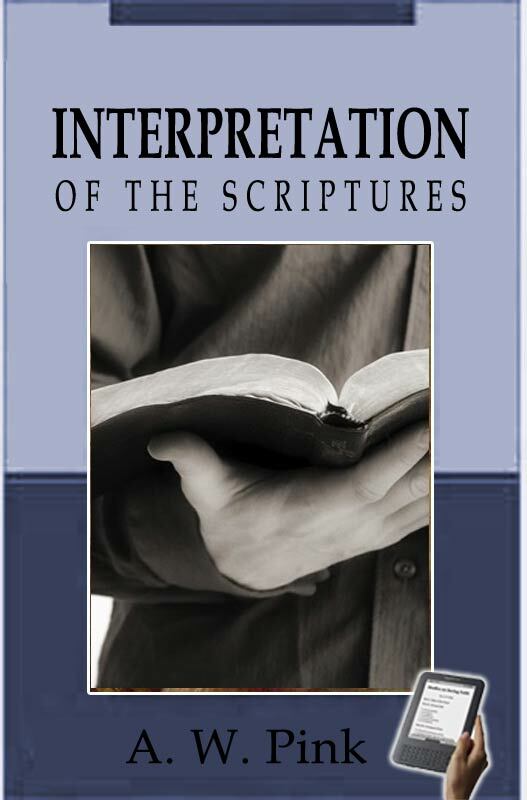 This is a concise and well-written work on the interpretation of the Scriptures. Pink outlines the major rules for interpreting the Bible, giving examples as he goes along. This is a great book on hermeneutics for those in the beginner to intermediate range. This book not only gives the reader the necessary tools for correct, biblical hermeneutics, but Pink also includes numerous examples of how each principle is diligently applied to God's Word. Interpretations of the Scriptures will serve as a great resource for the pastor, volunteer Bible study leader, or anyone willing to invest the time necessary to correctly read and apply the Lord's revealed Truth.